Although this small space in your home is one of the least expensive to decorate, it is often neglected. You can definitely do more than installing a new shower curtain—there are more fun ways to give your bathroom a facelift. The best part: the budget-friendly options! 1. Liven up a clinical bathroom with colours. What better way to brighten up your space than introducing fun hues? "In a bathroom where plumbing fixtures, tiles, and other features are on the bland side, a wall or two of vivid color can make the room a lot more interesting," says Scott Gibson in New Bathroom Ideas That Work. "Color can play a role in mood; some are calming, others are stimulating." This pretty-in-pink bathroom comes with dainty details that adhere to the home's country-style theme. If painting one wall is a tad bit overwhelming, you can still create a happier bath space by choosing colourful accessories—glass dishes, liquid dispensers, tissue holder, among others—that can be periodically changed for a fresh look every time. 2. Get the right mirror. Introduce more light and drama to your bathroom by installing a mirror. It doesn't cost a lot, but produces an eye-catching effect. The heart-shaped mirror complements the sink in this dreamy European-style home. "What is wonderful about a mirror is the way it opens up a room, making it feel bigger, Whatever the amount of light in your bathroom, the mirror will catch it and reflect it back. If you can position a mirror near a window overlooking a garden or water, you'll gain an even more dramatic look for your bath," suggest Coral Nafie and Barbara Cameron in Guide to Home Decorating: A Room-by-Room Guide to Creating the House of Your Dreams. 3. Personalise, personalise, personalise. 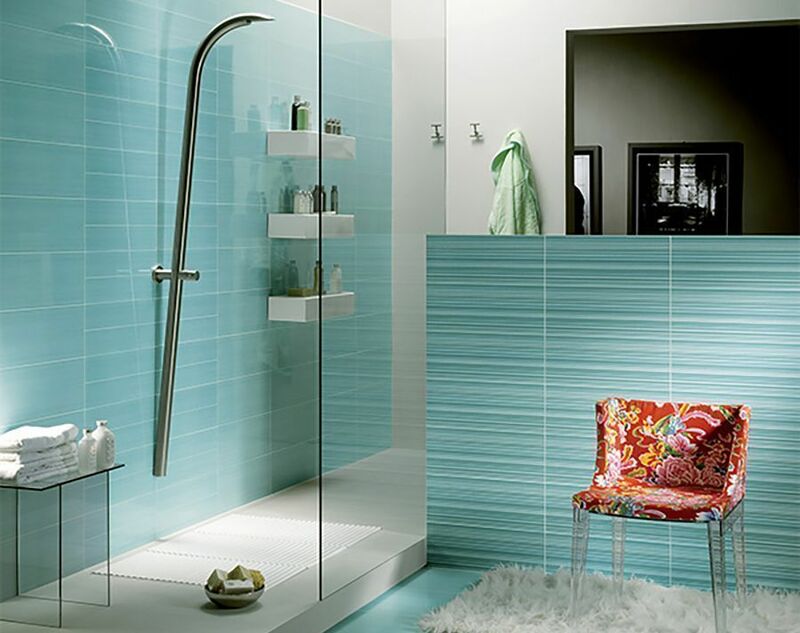 "As with any room in the house, add personal details to your bathroom to help make it feel special, create a theme, or unify a color scheme," says Gibson. Simple decorative items such as wall art, monogrammed towels, bathroom mats, and shower curtains can put your personal stamp on this space. 4. Organise your bathroom with budget-friendly storage ideas. The bathroom is where you'll find all sorts of small items—it's important to clear the clutter so you can make the most out of the area. You can use a stepping stool to keep your towels and display knickknacks, opt for a hanging towel rack, or park your toiletries on an ornamental stool in the shower area. 5. Bring in a touch of green. Ever heard of the "bathyard" trend? Plants make for an affordable upgrade to your bathroom and look great in there, too. According to Cy DeCosse Incorporated's Decorating the Bathroom: 103 Projects & Ideas, "Live plants add softness to a predominantly hard-surfaced bathroom. For an ever-changing room accent, they can be grown in a container garden or terrarium. Plants can thrive in the bathroom, provided the plant varieties are carefully selected according to the bathroom's environment." 6. Display candles. Not only do candles look and smell good in your bathroom, they also instantly add warmth to the space. "There is so much variety of colors, shapes and sizes of candles available. But it is best if you buy ones which will coordinate with the decor of your bathroom," advise the editors of Better Homes and Gardens in Do It Yourself: DIY Ideas. How did you transform your bathroom? Share with us the before-and-after photos at hello@cromly.com.